Old is Gold even in this modern times. What else would you say to see Mammootty being the most successful star of Malayalam in 2009? The Malayalam superstar had a memorable run with as many as eight films in 2009. "Love in Singapore", "Daddy Cool", "Eee Patanathil Bhootham", "Loud Speaker", "Kutty Shrank", "Pazhassi Raja", "Palery Manickam" and "Chattambinaadu" films have reiterated Mamooka’s rule is not going to end anytime soon. While "Pazhassi Raja", "Palery Manickam" and “Chattambinaadu” are declared the year end hits in Malayalam box-office, "Kutty Shrank" went to claim international laurels at the International Film Festival of India (IFFI) in Goa and will have a commercial release soon. 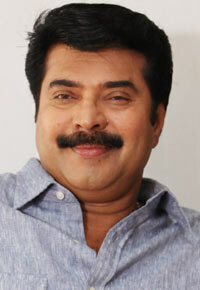 The year 2009 also added more feathers to Mammootty. Success in front of camera not enough Mammootty launched his own production house to produce and distribute films. Another out of film honour for Mammootty is that he was appointed brand ambassador by the Kerala Volleyball Association.